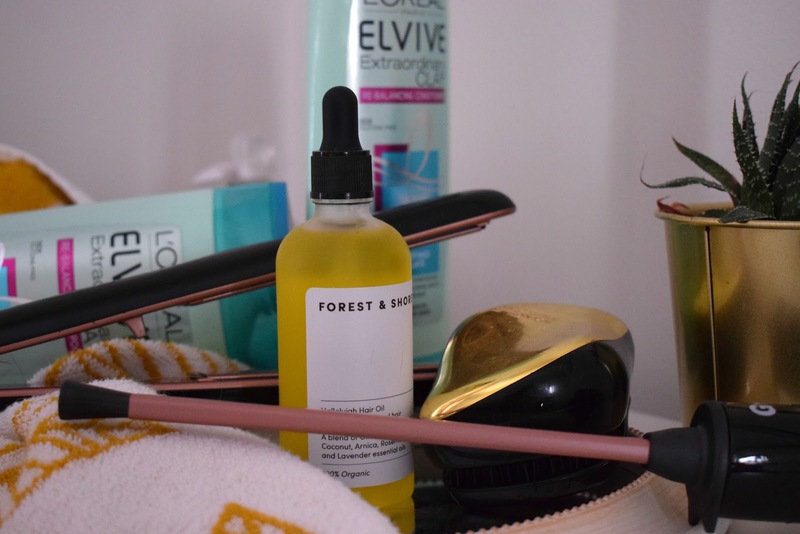 I have written a few posts recently featuring hair care products, so thought I would write a little round up featuring those products that have found there way into my hair care routine, and that I would recommend. Washing wise the system I am currently using is perfect for my hair type, my hair is long I get dry ends but greasy roots since using L'oreal elvive extraordinary clay shampoo and conditioner, my roots feel less greasy but the length and ends feel softer and less brittle. 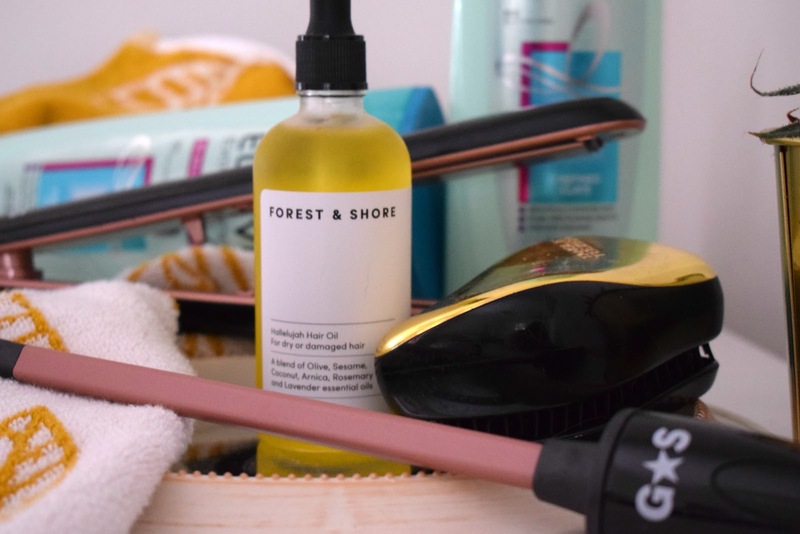 Once my hair is clean and towel dried, I have been adding a few drops of Forest & Shore Hallelujah hair oil before brushing through with my trusty Tangle Teezer , the hair oil really helps to make my hair smoother and sleeker, and along with the tangle teezer makes short work of my extremely knotty hair. Styling wise, I often leave my hair to dry naturally and just embrace my natural curls, but when I do style my hair, I have been going to extremes either smooth and straight using my Glam & Style straighteners, these are insanely good for the very small price tag and v pretty in the rose gold colour way. Or I'm going 80's corkscrew curls, using my Glam & style chopstick styler, this tool is so good at creating curls and super quick, I can curl my hair in less then 15 minutes and I have a lot of hair. I am currently very happy with my routine and hope you enjoyed this post and possibly picked up some tips for great products to buy. The hair oil sounds lovely! Have a great day!